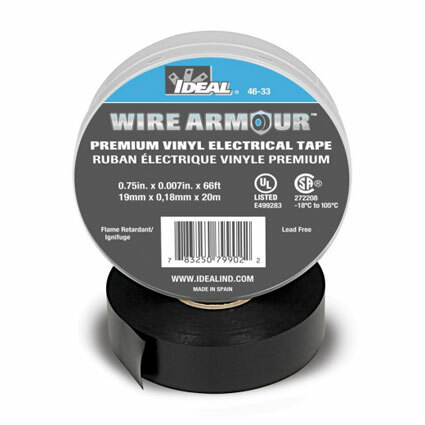 The IDEAL® line of premium vinyl electrical tape provides superior performance over a wide range of temperatures up to 105°C. Suitable for wide temperature extremes, from cold weather applications as low as -18°C. With blue core technology that provides high elasticity, that is flame retardant, high UV resistant that is impervious to water, oil, acids, alkalis and a wide variety of corrosive chemicals. Primary for insulation for splices up to 600V. Brought to you by IDEAL Electrical, your manufacturer of choice. IDEAL has a full line of specialized tool kits. From three-piece kits to seventeen, from Apprentice to Journeyman’s kits, IDEAL has a kit that is right for you.